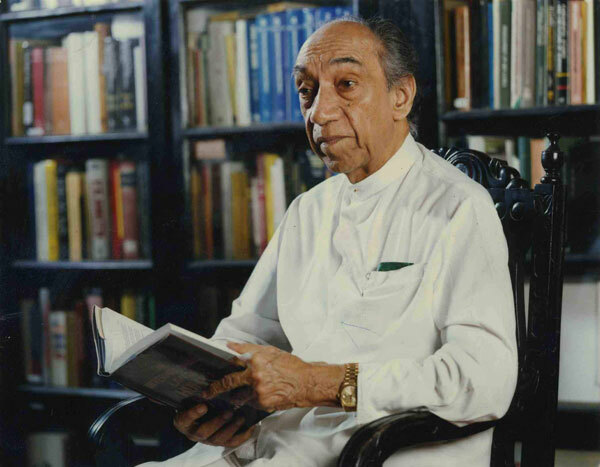 ‘The Statesman MISUNDERSTOOD’ in the Daily News on Monday, December 7, was interesting and thought-provoking and I am very pleased to note Ravi, the only child of late President J R and Madam Jayewardene, in an interview with Samangie Wettimuny robustly states the greatness of his father. Though I may not agree with everything Ravi has stated or, for that matter, everything J R did, I agree that J R was the only Sri Lankan politician who came close to being a statesman but the dictum ‘power corrupts’ caught up with him too, which, unfortunately, deprived him of that accolade. It shows clearly how quickly we forget the good anyone does! In a career spanning over fifteen years as a Cardiologist, till I left for UK in 1988, I have seen many a politician, more so their off-springs, trying to throw their weight about; more they did the less I cared (not medically) for them. But, J R was an exception and Ravi was the humblest off-spring I ever met though he could have ‘flown’; his first love was flying and he was a pilot with Air Ceylon but, unfortunately, his career was cut down in his prime due to a health problem. It is said that he was ordained, for a short period, in Thailand before he went to live in Australia, which is not surprising considering he learned Buddhism from someone with a profound understanding of Buddhism, his father. “Oh really, but he did not ask for a car, he must have walked”; which I am sure he did. Can you imagine this now? Can anyone be more humble? Ravi is fortunate in that his wife, Penny, complements him with her humility too and charm. Unfortunately, the precedence Madame Jayewardene set, dignified aloofness, was not followed by the wives of succeeding Presidents who became liabilities. Having come from a very rich family and had an ‘exclusive’ education, she could easily have been the proudest of them all but was the humblest. One of the revelations, for me, was Ravi describing his mother as the one with a temper which surprised me no end; I have met her many times and have always being impressed by her calm, collected attitude and the humility matching her husband and son. May be she was placid like the Himalayas but with avalanches reserved for her husband and son, in the confines of their house. Ravi confirms that she went on and on at him; J R may have pretended not to be affected but it was well known in political circles that JR could only be influenced by Madam Elina. “Another comment in the chain-email was: Apeth mehema aya hitiya. D. B. Wijethunga, Sirimavo (She had enough of her inherited personal wealth.) We have to respect them. Present politicians must be laughing at them. My reaction was, “Why forget JR?” He may have had many faults but no one can accuse him of pomposity and grandeur. He should not be forgotten; in fact, he is the most relevant to the issues under discussion as he played a vital role in the aftermath of the Japanese surrender. When Western powers were trying to extract reparation from Japan, it was JR who changed the mood of the San Francisco Peace Treaty by showing the way of compassion preached by the Buddha, as described in my article in The Island of May 22. Though he very well could have, I have never heard JR bragging about his achievements at the San Francisco Peace Treaty. He led a very simple life. His wife, Elina, who hailed from a very rich family that donated a lot of property to Kelani Raja MahaVihara, was even simpler. When he wanted to inquire about his relatives, who were under my care, he rang me direct, not through a secretary. I do not think I need to add any more. J R will always be and should be remembered for the vital role he played in the San Francisco Peace Treaty that changed the future of Japan. One of the greatest regrets in my life is not doing a television interview with J R though he agreed to. Like many in Sri Lanka I started losing faith in him and did not make use of the offer. What a fool I was! A major player in providing support for a post-war free Japan was the delegation from Ceylon (now known as Sri Lanka). While many were reluctant to allow a free Japan capable of aggressive action and insisted that the terms of surrender should be rigidly enforced in an attempt to break the spirit of the Japanese nation, the Ceylonese Finance Minister J R Jayewardene spoke in defence for a free Japan and informed the conference of Ceylon’s refusal to accept the payment of reparations that would harm Japan’s economy. His reason was: “We in Ceylon were fortunate that we were not invaded, but the damage caused by air raids, by the stationing of enormous armies under the South-East Asia Command, and by the slaughter-tapping of one of our main commodities, rubber, when we were the only producer of natural rubber for the Allies, entitles us to ask that the damage so caused should be repaired. We do not intend to do so for we believe in the words of the Great Teacher [the Buddha] whose message has ennobled the lives of countless millions in Asia, that ‘hatred ceases not by hatred but by love’.” He ended the same speech by saying “This treaty is as magnanimous as it is just to a defeated foe. We extend to Japan the hand of friendship and trust that with the closing of this chapter in the history of man, the last page of which we write today, and with the beginning of the new one, the first page of which we dictate tomorrow, her people and ours may march together to enjoy the full dignity of human life in peace and prosperity”. No other politician of Sri Lanka has achieved such distinction. Having visited Japan in April and seeing a marble plaque in the gardens of the famous, prestigious and serene Kamakura Daibutsu (Great Buddha) to commemorate the J R’s role, I wrote an article titled ‘What an ungrateful nation we are!’ which was printed in The Island of May 22. Through an April shower, I was admiring it again during a conducted tour of Japan organized by Osara Lanka Destinations, praising myself for having suggested adding this unmissable site to their itinerary. However, the credit for discovering a ‘gem’ within the site, which I seem to have missed on at least three previous occasions, should go to fellow traveller, Mr. Pushpa Kumara Kulatunga, Additional Finance Manager of the Ceylon Electricity Board whose excitement gathered momentum as the other ten in the group joined him. In a drizzle, treading carefully to avoid slipping in the courtyard, we went to the small but neatly laid out Japanese garden to the left of the statue; in the midst of precious trees planted by various dignitaries visiting this very important site in Japan, stood a deep blood red marble column about two metres tall. We all jumped up in joy as we spotted the familiar face engraved right at the top. It was a monument to honour the vital part played by our late President, J R Jayewardene during the San Francisco Peace conference held in September 1951. Japan showed gratitude by donating an entire television complex when JR came to power. They built Sri Jayewardenepura Hospital with 1001 beds. The story goes that after gifting the television complex, when the Japanese Government inquired what more they could do, JR suggested a hospital and had inquired what is the biggest hospital Japan has built as aid. On learning that it was a 1000 bedded hospital, JR has requested a hospital with one additional bed. I am sure the Japanese Government would have been only too willing to build a hospital of any size but JR did not show greed. It was an act of consideration which was misinterpreted by vile rumours spread that JR wanted a suite for himself! However, till that rainy day in April, I did not realize that the Japanese showed their gratitude in such a public manner on their own soil by building a monument in such an important place.